I don’t know if the title of this post will hold but it certainly was nice for an evening, wasn’t it? And I should be clear, I’m not all that big on doing things for the haters. They gonna hate. No, I like the idea of winning for those who support us. Because we watched this conference season long and sure, we saw their lows. But we also saw the highs. 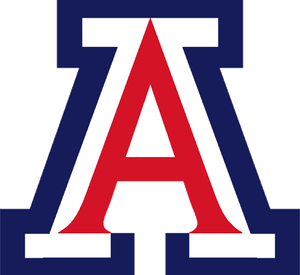 We saw that those Berkeley guards were assassins and that the Arizona freshmen were ginormous and that the Ducks could defend. Day one’s results aren’t indicative of anything colossally important. It was three good teams playing three good games. It just happened to be on the biggest stage. I’m into that but not smearing it in (too many) faces because, well, there’s too much still to accomplish. Oregon – The question I kept asking was whether or not Oklahoma State or Oregon was more upset about the Ducks’ twelve seed. Now, writing this late Thursday night, my assumption that the Cowboys were pissed to face the Pac-12 tourney champs was confirmed. Because they lost. Oregon leaned on the efforts of Arsalan Kazemi (11/17) to move their way past the aptly seeded Cowboys. Oregon reminded us that they’re a defensively oriented squad; limiting the Cowboys to just 40% shooting and 4 offensive rebounds. The point, however, is that the Ducks were the assertive group. The statistical breakdown doesn’t exactly suggest a dominant victory, but it was. A sign that the Ducks were the aggressor and unafraid of the tournament. California – It’s not very often that a team garners an out-of-conference rematch. Cal got their re-shot at the UNLV Rebels and won. Boom. 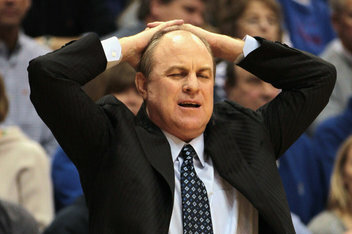 Limiting the Rebs to zero buckets across an eleven minute stretch in the second half. That, my friends, is what I’d call a great success. The Bears applied the age-old belief that guards dominate this month as Crabbe and Cobbs combined for half of Cal’s points (32 of 64). This, whether it’s sustainable or not, is how the Bears do it. The Mountain West sustained their second loss of the night (see ya’ MWC champs) and may have demonstrated their general propensity for clutch losing. Have I gone too far? 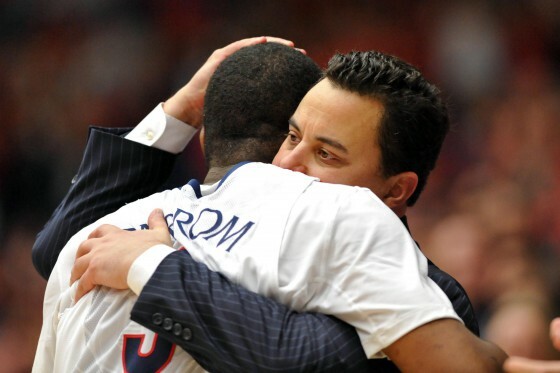 Arizona – Can you call a 6-over-11 game an upset? It seemed the case as everyone considered Belmont ready to win their first tournament game. They had the outcome (first tourney win) and court (SLC) correct. Just the wrong team. 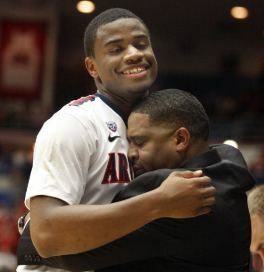 Harvard upset Steve Alford following Arizona’s dominant performance for their first ever NCAA Tournament victory. Back to Bruins and Cats. Belmont managed to get the game within three late in the first half but never made it spicy again. Which is no knock on the Bruins. Arizona was the better team heading in (6v11, duh) and then went ahead and asserted themselves as such. Which hasn’t been the general case for this group. They’ve lost seven games to Pac-12 opponents which is not necessarily a bad thing but it ain’t all that impressive. 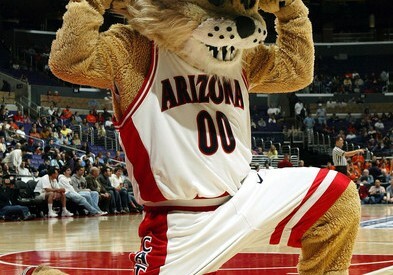 However, considering Arizona’s issues against Pac-12 opposition, context might help. The Bruins rated 53rd per KenPom. That would place them sixth in the P12. Is Arizona figuring it all out?